Along with many of my MSL colleagues, I'm attending our semi-annual science team meeting, enjoying the presentations and discussion of recent results and plans for the future. Meanwhile, today's tactical operations team is planning another "touch and go" for Sols 1952 and 1953. The "touch" includes a short APXS integration and a MAHLI full suite on a rock named "Skara Brae," and a single MAHLI image of a grey cobble dubbed "Drummuck." Then ChemCam and Right Mastcam will observe a patch of reddish bedrock called "Harra Ebb" and the ChemCam RMI will acquire a mosaic of a distant target named "Bloodstone Hill." Right Mastcam will also observe the Sol 1951 AEGIS targets and acquire a small mosaic of "Dulce Vallis," near the rim of Gale Crater. The "go" (drive) will be followed by the usual post-drive imaging and DAN active measurement. Late in the morning of Sol 1953, AEGIS will autonomously select two more ChemCam targets, Mastcam will measure the amount of dust in the atmosphere, and Navcam will search for dust devils. Late that afternoon, Navcam will watch for clouds overhead and measure variations in sky brightness at various azimuths. 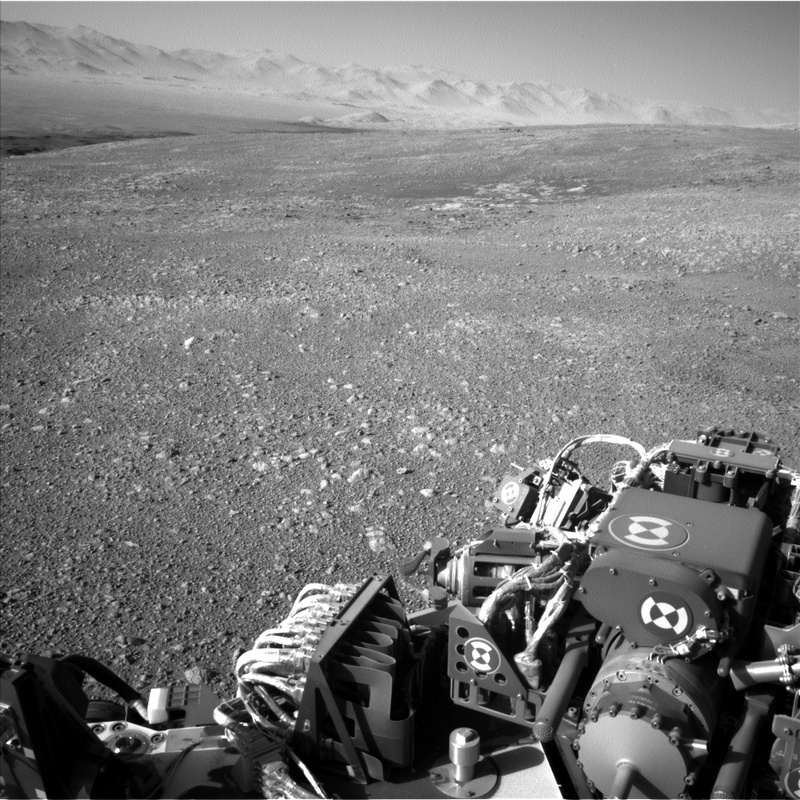 Finally, ChemCam will acquire calibration data before the rover sleeps in preparation for the next plan. Today is my father's 88th birthday and the 60th anniversary of the launch of the first US satellite, Explorer 1. This reminds me how fortunate his generation is to have witnessed the historic first steps into space and the many spectacular missions of exploration that followed. When he was a child, very little was known about Mars, and many believed that it had canals built by civilized Martians. Missions to Mars have shown no signs of civilization, but the search for evidence of past and present life on Mars continues. We are all lucky to live in such exciting times!